← Why Are Sons Better Than Daughters? Pronosticurile sunt mai mult un rămășag dintre mine și un bun prieten. Note: This post is just just an exercise of imagination as to how party tickets could/should look like. Also, a friend of mine and I offer two competing sets of predictions for election results. 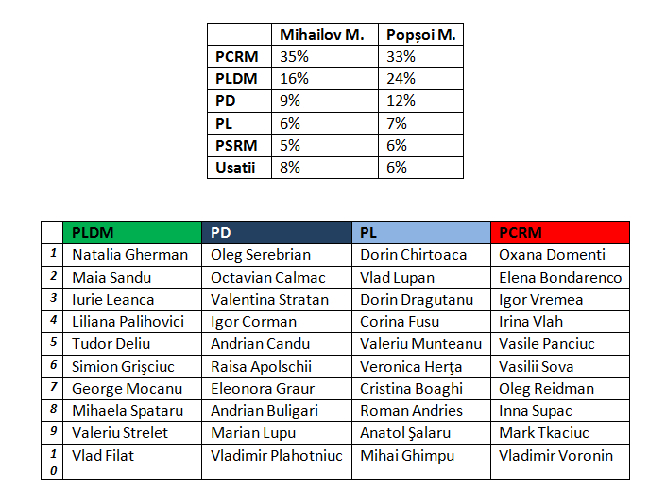 This entry was posted in Elections, Moldova, Personal, Politics and tagged alegeri 2014, Liste Electorale, Pronosticuri Electorale. Bookmark the permalink.